Whether it’s your first car or you’re looking to upgrade your current car, we know you want to save as much money as possible, right? Good news! There are several ways for you to save when purchasing a car. Thankfully, we have done the research for you, so you don’t have to! 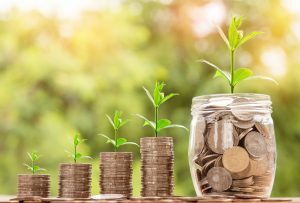 Below we will uncover 5 actionable ideas and two additional tips you can put to use to help you hold onto more of your hard-earned money. Remembering to manually transfer money into your savings account can be an additional chore added to your overgrowing list of tasks. Why not automate it and save yourself the hassle? To take this a step further, you can set aside an estimated amount of what your future car payment could be. Not only will this confirm you can afford the car payment, but it will help you reach your down payment faster! Of course, if you can and want to set aside more money, then you may do so. We often find ourselves looking outside our budget when it comes to shopping for cars. Sure, a sports car may sound appealing, but do you really need it if you’re on a budget? Don’t confuse reliable with expensive. You can find a reliable car that’s affordable and meets your needs. If you’re looking to buy used, it might be a smart idea to set aside funds in advance for routine maintenance and unexpected repairs. Always remember that car prices can be negotiated! Don’t be afraid to be firm and ask for a lower price. If this intimidates you, ask a friend or family member to come along to give you that extra boost of confidence, or ask if they would be willing to do the negotiating for you. Another great option is to negotiate via email or over the phone before you spend your time visiting in person. Here’s a great article that explains how to send the perfect email to get the lowest vehicle price possible. Another smart move is to spend time researching vehicles on Kelly Blue Book. The last thing you want to do is walk into a dealership without any previous knowledge of competitive prices on the vehicles you’re interested in. Not doing research may result in overpaying for your vehicle. Additionally, look into any options or upgrades you can live without. In reality, you probably don’t need that pricy built-in GPS or heated seats (especially if you live in Florida). If you’re still trying to decide if you should buy a new or used vehicle, it might be useful to read the advantages and disadvantages of both. If you’ve already decided you want to buy used, check out our used car buying guide. Both articles provide in-depth analysis that can help you make a smart financial decision. Since a car loses up to 20% of the value as soon as you drive a brand new car off the lot, you won’t typically have to worry about paying for this markup on older cars. When you purchase used vehicles, depreciation has typically already set in, meaning the total price you are paying will be lower. Look for coupons before you take your car in for maintenance or servicing. Often you can find deals on oil changes, wheels, and tire rotations. Additionally, look for a mechanic you trust or one who has great reviews, especially if cars are not your strong suite. Don’t be afraid to ask friends and family for recommendations! Keep a close eye on how fast you’re driving. Not only is it dangerous to speed, but speeding tickets can lead to additional fees.